The former Unicredit executive claims his life has been ruined by his whistleblowing. AFTER HIS APPEARANCE at an Oireachtas finance committee, you have probably heard a lot again about Jonathan Sugarman – a bank executive-turned-whistleblower. Jonathan Sugarman was the risk manager at Unicredit Bank Ireland in 2007. This was the Irish arm of Italian firm Unicredit, one of the largest banking and financial services companies in the world. Sugarman, an Israeli citizen, worked for the Dutch Ministry for Economic Affairs and a bank in Israel before moving to Ireland in 1999. He worked for Microsoft Finance before taking up roles at the risk departments in several banks and finally joining Unicredit in May 2007. It was Sugarman’s job to make sure that the company’s Irish arm was sticking to the rules. However, only a few weeks after joining Unicredit, Sugarman said that he started noticing liquidity breaches. Liquidity is how much money a bank has available. When banks lend money out, they have to hold a certain amount of cash or assets so that they can give people their money back if debts are called in. In Unicredit Ireland’s case, Sugarman said that the bank was required to hold assets and cash in reserve equivalent to 90% of its liabilities. This was due to liquidity regulations that came into force on 1 July 2007. The lender was allowed to drop below this by about a percentage point, but any breach in excess of this was meant to be reported to the banking regulator, the Central Bank. Sugarman said that Unicredit Ireland was involved in deals in the hundreds of millions – and in some cases, billions – of euro. Accounts for Unicredit Bank Ireland show that it had assets of €32 billion as of the end of 2007. He said that, when the new rules came into force in July, Unicredit Ireland was frequently breaching its liquidity requirements, and on occasion would only be holding enough cash and assets to meet 70% of its debts. What did he do about it? Sugarman said that he was told not to be concerned after he raised the issue with his former bosses, and that the liquidity figures were inaccurate due to technical glitches. Still uneasy with what he had found, he resigned from Unicredit after notifying the Central Bank of the issue. Banks are not meant to be in breach of their liquidity requirements in case they need to repay large amounts of their debts. If an Irish bank did not meet this requirement it could have potentially faced fines. Its risk manager, in this case Sugarman, could have been guilty of an offence and imprisoned for as many as five years. More broadly, Sugarman has said that the fact that there were breaches at the time illustrates how authorities were indifferent to problems in the banking system. Many other Irish banks, most notably Anglo Irish Bank, faced serious liquidity issues before being bailed out by the state and the Irish taxpayer. Sugarman has also drawn parallels between what could have happened at Unicredit Ireland and what did happen at Depfa, an Irish bank that was acquired by a Munich-based company and was subsequently bailed out by the German state. Sugarman said that he reported the breach to the Central Bank in the middle of August 2007 and then resigned in September after a UK IT company contracted by Unicredit Ireland told him that the liquidity breaches could be as high as 40%. He said that the Central Bank should have immediately investigated his claims that Unicredit Ireland had serious liquidity breaches, but instead it did nothing until officials arrived for a scheduled audit two months later. In a statement to Fora, the Central Bank confirmed that it was notified of a breach at Unicredit Ireland in August but did not carry out an inspection until October. It said: “In August 2007 the Central Bank of Ireland was notified by Unicredit Ireland of an overnight breach of compliance with the then recently introduced requirements for the management of liquidity risk. An inspection was undertaken by the Central Bank from 3-10 October 2007. Sugarman has since claimed that the Central Bank should have investigated his reports immediately and did not properly do its job. During the subsequent financial crisis, Sugarman approached several public figures, resulting in Senator David Norris raising the case in the Seanad. Norris said at the time that Unicredit “behaved grossly irresponsibly and in breach of the law and that the financial regulator completely failed to engage in prudential supervision and exercise control of the bank’s activities as required in the state”. Sugarman went public in 2011 and told his story in an interview with US broadcaster ABC news. What has the Central Bank said? At the time, the Central Bank was quiet on the reports. In August 2012, the regulator confirmed that it met with Sugarman “and received some information from him and took the appropriate action”. It did not detail at the time what “the appropriate action” was. Later, the Central Bank said, “Following claims made in 2010 in the media and in Seanad, a further investigation was undertaken at the instruction of the Central Bank. An independent, third-party firm was engaged in order to check compliance with the liquidity requirements. This investigation did not highlight any further breaches. The Central Bank declined to comment further. Unicredit Ireland did not respond to a request for comment. Sugarman has continued to campaign in the years since going public. He has been unemployed since then and said it is impossible for him to find work in the banking industry due to his whistleblowing. In November 2016, he appeared before the European Parliament to tell his story, and in December he published an eBook called ‘The Whistleblower’ that detailed his experiences at Unicredit. Now, he has called on the Oireachtas finance committee to help him vindicate his story and restore his good name. Sugarman said he does not have copies of the documents that he sent to the Central Bank as he has no right to them. “If I was to be in possession of the documents that I sent to the Central Bank, I would have been in breach of contract with my employer,” he said. He also revealed that in 2009 he walked into a garda station in Rathmines in Dublin to report that he had broken the law. Sugarman said that he was told that his complaint was passed to the garda fraud squad, and he has not heard anything since. Fianna Fail’s John McGuinness, the chairman of the committee, said that he respected Sugarman’s actions and was “shocked” by the evidence he gave at the hearing. He said that the committee “should perhaps write to the Garda Commissioner” and ask her about what happened after Sugarman made his complaint. Oireachtas members also said that the committee will ask the Central Bank for more information on the issue. Sugarman called for officials involved in his case and the banking collapse to be held accountable and receive sanctions. “I should be entitled to receive compensation from the Central Bank for it failing to do its job,” he said. Email “Who is Jonathan Sugarman? Here's what you need to know”. 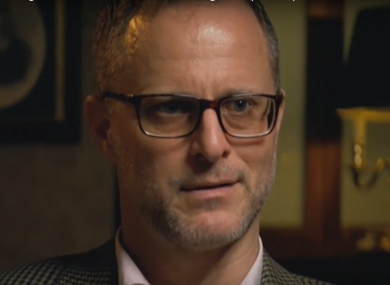 Feedback on “Who is Jonathan Sugarman? Here's what you need to know”.